The purpose of Academic Advising is to serve as a resource for you on your journey toward GRADUATION. Our advisors can assist current traditional undergraduate (TUG) students with course selection and degree planning. If you have questions about any of the following, come and see us! Read Frequently Asked Questions about Registration for more information. In order for you to be cleared for registration, you must make an appointment with your Academic Adivser or Faculty Mentor. 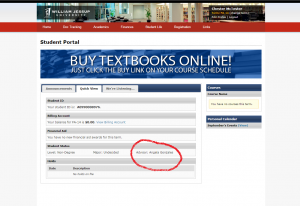 Please check Quick View on your student portal to determine who you need to meet with. See your registration email for specifics. 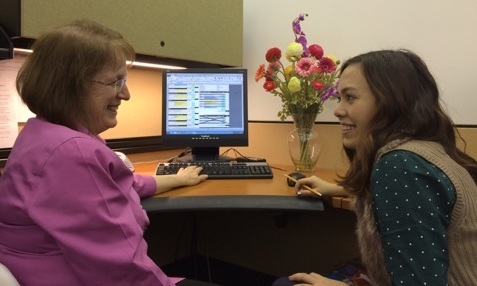 Students assigned to an ACADEMIC ADVISER in the Registrar’s Office: Book your appointment using the WJU Online Scheduler. Be sure to select the schedule “Academic Advising (Registrar)”. Students assigned to a FACULTY MENTOR: Contact your faculty adviser by Jessup email or sign up in the Faculty Offices. Your faculty adviser must clear you to register. 2. There you will see your Academic Advisor listed like this! Interested in planning your 4 years here at Jessup? See an Advising Guide in your major (contact us if your major is not listed).